More commonly known as a coffee boiler (will hold approx 1 1/2 pints). 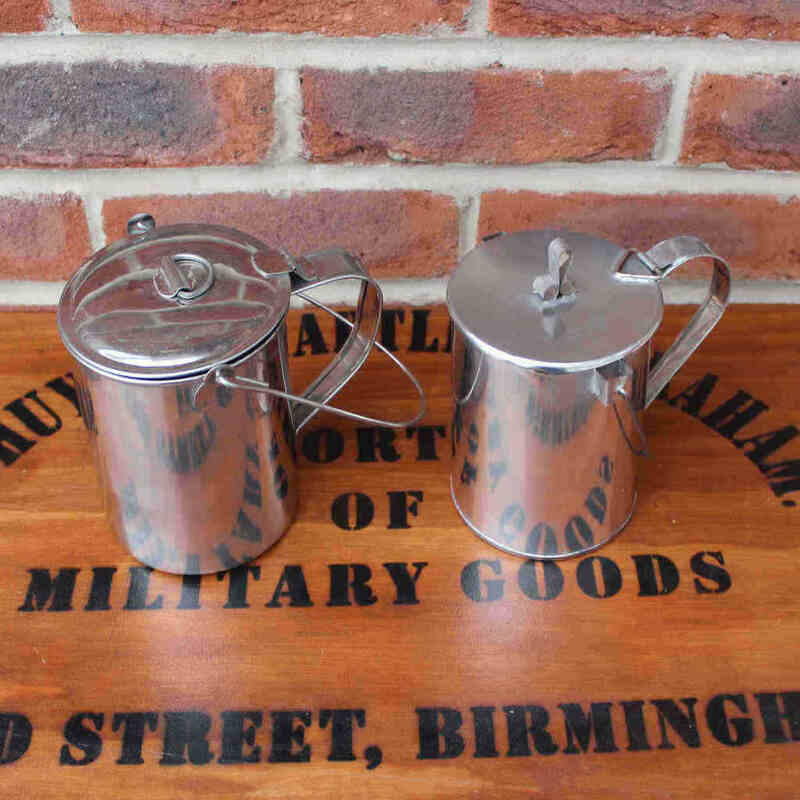 Available in Stainless Steel for Durability or Tin. Both have a lid and a bail handle. The origins of the mucket was from the soldier living in the field and his ingenuity to adapt and overcome for using utensils to cook with hence he used a tin can with a wire for a handle.